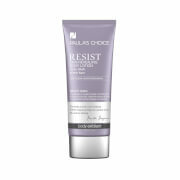 Pamper delicate skin with the ‘Anti-Mania/Stress Relief’ Hand/Body Lotion from Not Soap, Radio. Infused with the hazy scent of Lavender and Clementine, the multi-tasking body moisturizer softens skin while relaxing your overworked mind. 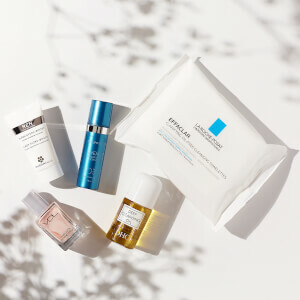 Enriched with calming Chamomile, it envelopes skin with a soothing veil of comfort, helping to combat insomnia and aid in a peaceful night’s sleep. A vitamin-rich blend of Cucumber, Aloe Vera and Orange Flower help to protect, hydrate and nourish for skin that radiates a healthy-looking glow. Take a quiet moment for yourself, alleviate tense muscles and smooth away stress in one simple sweep. 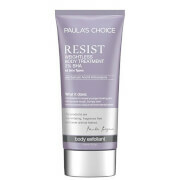 Free from parabens, sulfates and phthalates. Cruelty free. Use just a smidge and smooth over skin for a subtle silkening or apply more liberally for a serious smoothing. Cross dry, sallow skin off your list. You feel lighter, mellower, you sparkle. Pretty soon you’re packing your bags and flying off to Tahiti - or at least trying a yoga class. Water, Isopropyl Palmitate, Stearic Acid, Glycerin, Aloe Barbadensis(Aloe Vera Gel), Citrus Grandis (Grapefruit) Extract, Cucumis Sativus (Cucumber) Extract, Camelia Sinensis (Green Tea) Extract, Bee Pollen Extract, Citrus Sinensis (Orange Flower) Extract, Anthemis Nobilis (Chamomile) Extract, Macrocystis Pyrifera (Sea Kelp) Extract, Lavandula Angustifolia (Lavender) Extract, Prunus Amygdalus Dulcis (Sweet Almond) Oil, Carthamus Tinctorius (Safflower) Seed Oil, Tocopheryl Acetate (Vitamin E), Retinyl Palmitate (Vitamin A), Tocopherol, Cetyl Alcohol, Dimethicone, Glyceryl Stearate SE, PEG-100 Stearate, DMDM Hydantoin, Cetyl Hydroxyethylcellulose, Carbomer, Potassium Sorbate, Fragrance, Tromethamine.